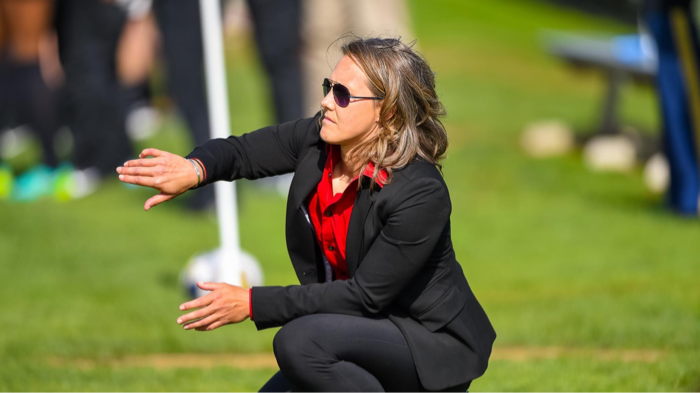 Becky has been in NCAA college coaching (USA) for more than a decade and is passionate about not only Women’s NCAA Rugby, but is also an advocate for the health and welfare of our coaching population. As a public speaker, equality advocate and coach, Becky has grown tired of the abundance of resources for sport specific technical skill building and sitting at endless seminars only to be left with no solutions on how to survive in the profession of coaching with this generation.Becky believes our athletes are losing their ability to communicate with each other and therefore, with us, the coaches. Becky is interested in connecting and assisting other coaches who are challenged daily through this profession with today’s generation. 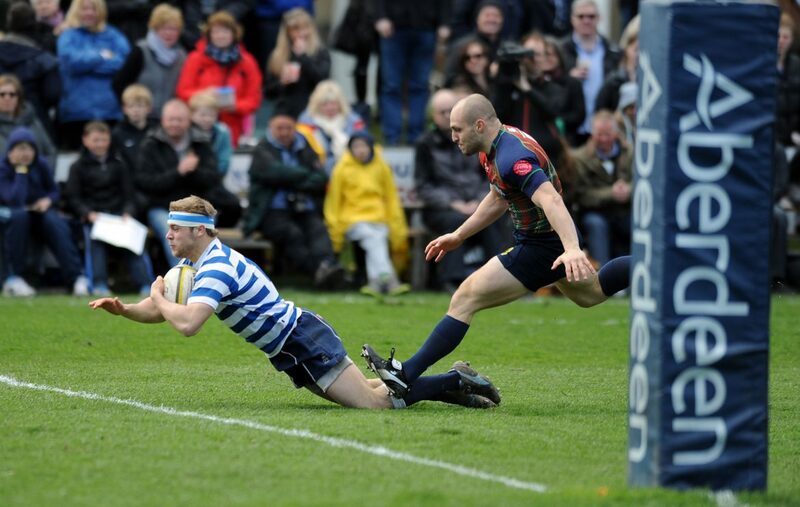 Two international sides with top rugby pedigree are lined up to appear at the 2019 Aberdeen Standard Investments Melrose Sevens. USA’s Tiger Rugby will return to the historic rugby sevens tournament for the third time, when it takes place on April 13, while South Africa’s Stellenbosch University will attempt to reclaim the title after winning in both 2004 and 2005. Founded in 2007, Tiger Rugby – based in Roswell, Georgia – has quickly become one of rugby’s most interesting sides. 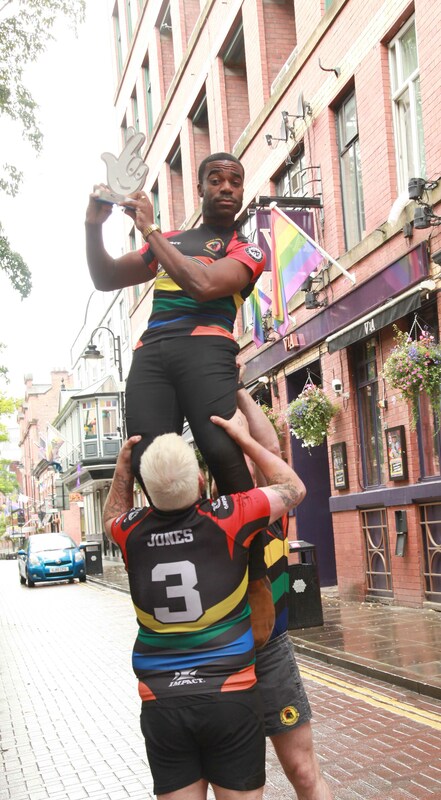 Boasting rugby sevens greats and five former Olympians in their ranks, the team hopes that third time will be lucky as they return to the Borders tournament where rugby sevens all began. Stellenbosch Rugby Football Club, by comparison, is South Africa’s second oldest club, dating back to 1875. Having won the tournament twice previously, the team is eager to return to the Scottish Borders to reclaim the title for the third time. 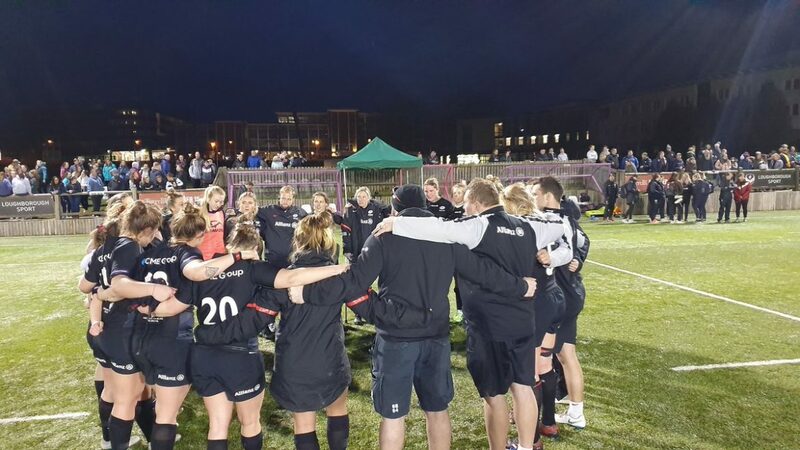 The Aberdeen Standard Investments Melrose Sevens is the world’s original rugby sevens tournament, attracting 24 international and Scottish clubs every year to battle it out to lift the Ladies Cup. 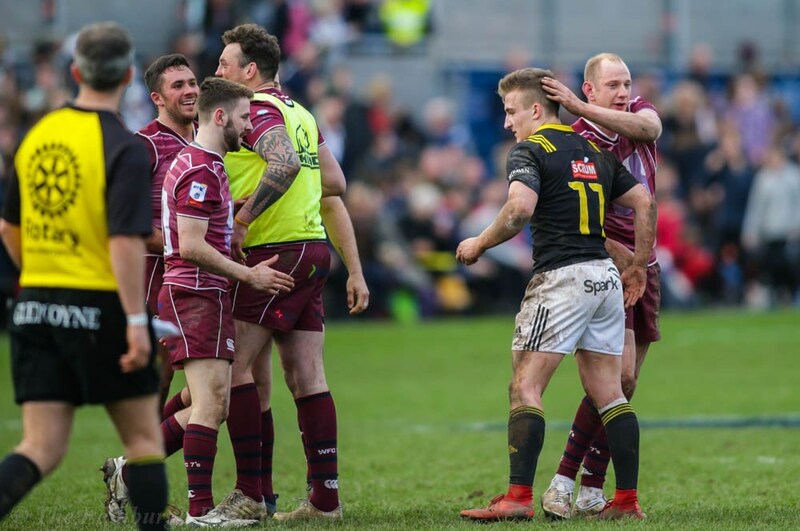 The game of sevens was invented in Melrose in 1883 by butcher Ned Haig, and the 128th playing of the Aberdeen Standard Investments Melrose Sevens will take place on April 13, 2019 at the towns Greenyards. THE Manchester Grammar School will be flying the flag for the north of England after reaching the Final of the England Rugby National Schools Cup with a thrilling last-minute victory at the weekend. 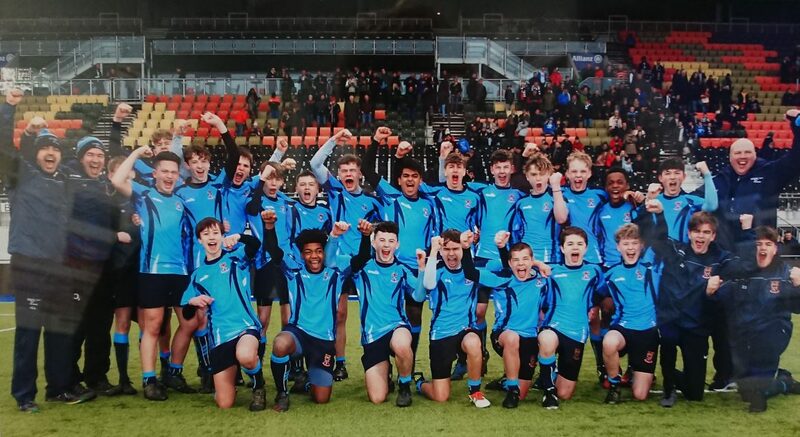 The School’s Under-15s side faced Warwick School in the semi-finals of the Cup on Sunday 2 March, held at Allianz Park – the home of Saracens – in North London. The competition is open to all schools, state and independent, across the country, so to have reached the last four was already a fantastic achievement by the MGS side, who put out a strong Sedbergh team in the quarter-finals. Up against a much-fancied Warwick side looking for their fifth final in sixth years, the MGS boys were 21-3 down with 10 minutes to go and looked like going out, but staged an extraordinary comeback that will live long in the memory. Captain Ben Simpson then kept his composure under immense pressure and kicked the winning conversion, sparking jubilant scenes and booking MGS’s place in the final in the most dramatic of fashions, which will be held on 14 March at the home of rugby, Twickenham Stadium, where the boys will face Whitgift School. “To reach a National Final without scholarship boys is a very difficult task these days, but their enthusiasm, commitment and ‘never-say-die’ attitude has been outstanding. They have had a number of very close matches and played against some of the strongest rugby schools in the North on their run and to see them grow, develop and mature with each game has been hugely rewarding. In celebration of our recent webinar with the Johan Cruyff Institute, we wanted to interview a number of female coaches involved with the program. 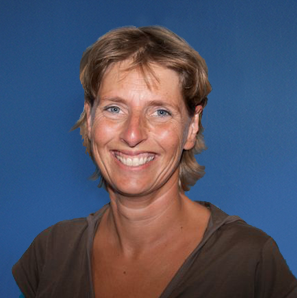 Below, Karen shares her journey into coaching and what life is like in the Netherlands as a female coach. Along with his A-level results in Politics and Russian, Charlie also sat a Cambridge Pre-University examination in History. The Pre-U is a challenging alternative to A-level, with its own grading system. A D2 is equivalent to an A*. Charlie has also been playing rugby for the best part of 10 years, and this past season captained the Sale Sharks Under-18 Academy Team – a huge honour. Boys who study at The Manchester Grammar School collected their results today amidst the news that MGS had once again earned outstanding grades; a third of all results (36%) were at the coveted A* level, a record for MGS. 71% of all grades were A* or A, and 91% of grades were A*, A or B. Other results from the School include exceptional individual performances; 19 pupils were awarded A* grades in all their subjects, six of these pupils achieved four A* grades, a tremendous achievement. 76 boys achieved a clean sweep of A* and A grades. 54% of all Pre-U grades awarded to MGS pupils were D1 or D2, an outstanding performance. Oxford and Cambridge offered places to 22 Manchester Grammar School pupils in 2017. Other leading universities to which MGS boys will be heading this autumn include Imperial, UCL, LSE, Durham, Warwick, York, KCL, Manchester, Nottingham and Leeds. 27 pupils received university offers to study Medicine, Dentistry or Veterinary Science. 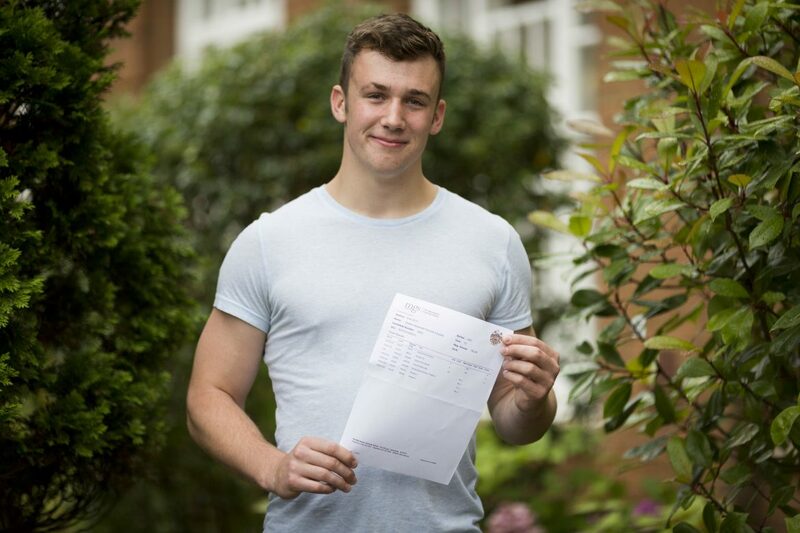 “For more than a third of all A-level grades to be A*s, and 91% of all grades at A*-B level, is fantastic, and once again places The Manchester Grammar School in a very select number of schools nationally. “It is a source of great pride for everyone at the School to have seen these boys grow and mature into young men during their time with us. Our talented and dedicated staff aim to challenge our pupils intellectually and develop their academic passions, whatever they may be. It is wonderful to see them rewarded with excellent grades and moving on to study a diverse range of courses at leading universities. The landscape of the country was so very different 18 years ago, whether it be the “glass ceiling” or the acceptance of gay men in any sport. Fast forward to 2017 and the Spartans can call upon 125 players from the centre of Manchester, to play for one of their 3, inclusive teams, two of which operate in the North West Intermediate League. 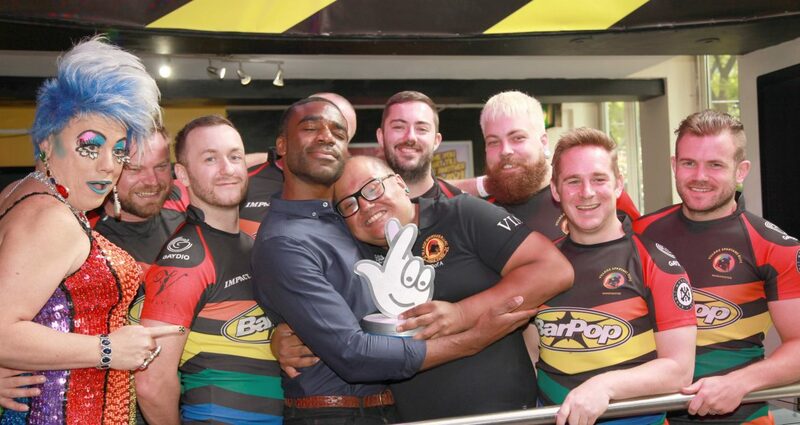 Inclusive rugby club, The Manchester Village Spartans RUFC, have released an atmospheric 90-second film, encouraging 18-24 year-olds to give rugby a go. The film, produced by Button Down Media, follows George, one of the Manchester Village Spartans’ many young players, as he describes some of the doubts and reservations he had about playing rugby. Overcoming fears about having the right build and skills to be a rugby player, we hear George explain how joining the team was a huge confidence boost and how he feels comfortable to just be himself. Now he enjoys being part of wide social circle where everyone looks out for one another. 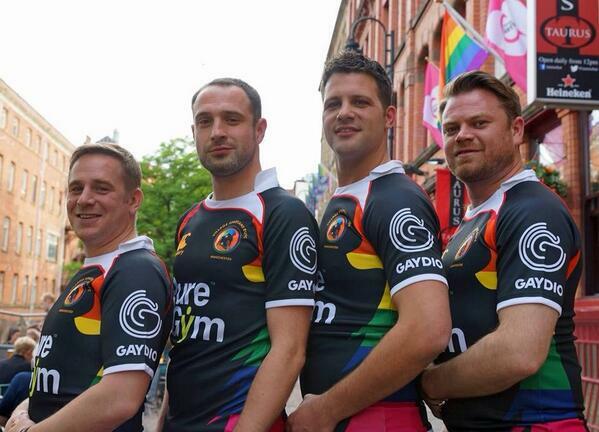 Dean Bee, Chairman of The Manchester Village Spartans RUFC and England’s international Gay Rugby (IGR), said: “In 1998, our club was the world’s second LGBT rugby team ever to be established and we wanted to provide a friendly, encouraging and safe space for people, who maybe thought rugby wasn’t for them. 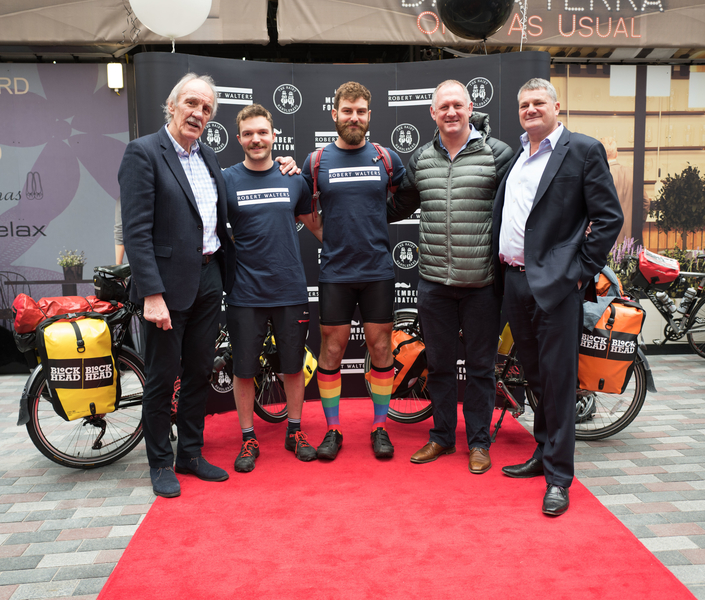 The Manchester Village Spartans are supported by the Rugby Football Union’s Spirit of Rugby programme in making this film. Spirit of Rugby, funded by the Spirit of 2012, is uniquely led and devised by 16-24 year-olds with the aim of increasing participation through new and innovative events which engage groups not traditionally involved in rugby. Rugby World Cup winner and now sports broadcaster Maggie Alphonsi MBE is the Spirit of Rugby’s Ambassador. Seeing first hand the Spirit projects up and down the country, the former England player has been impressed with the Spartans work. Alphonsi said: “This film is fantastic. As someone who was not from a rugby background – I was brought up with the big London football clubs all around me – I know first hand that it can be daunting trying a new sport, especially one when you think you might not be the right fit.